Thyreoxenus brevitibialis, copyright Taro Eldredge. 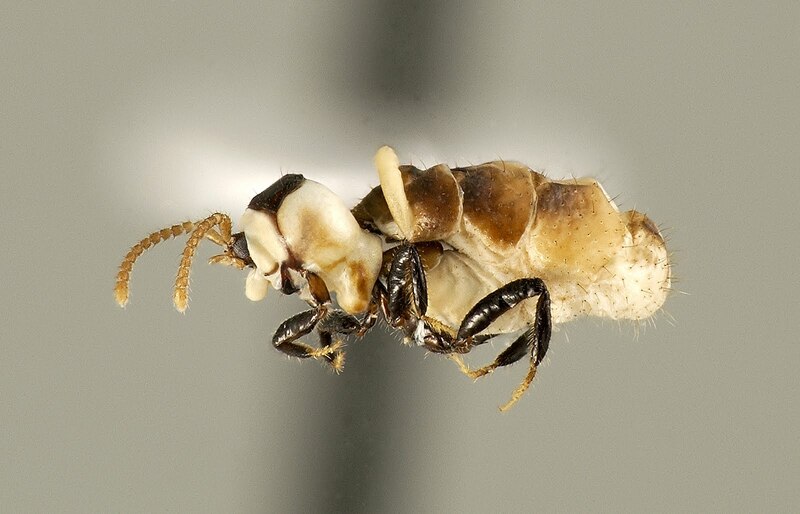 The Corotocini are a group of physogastric staphylinid beetles found mostly in association with nasutitermitine termites, with a very few species found with the termitine genus Anoplotermes (Seevers 1957). See also: The Corotocini in their gut-swollen glory. Characters (from Seevers 1957): Mentum fused to submentum; mesocoxal acetabula not margined; metepimera abbreviated; hind coxae triangular; physogastric.